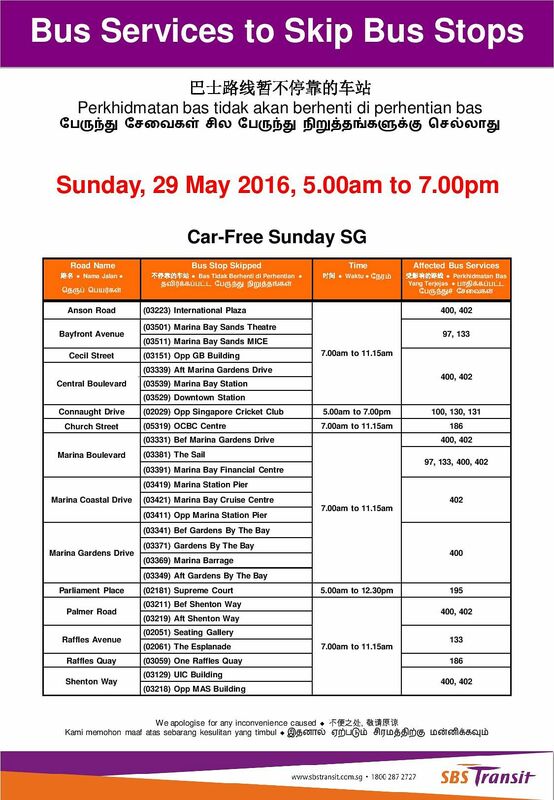 SINGAPORE - Ten SBS Transit bus services will be affected this weekend (May 28 and 29) due to road closures for two events: the Sundown Marathon 2016 and Car-Free Sunday SG. 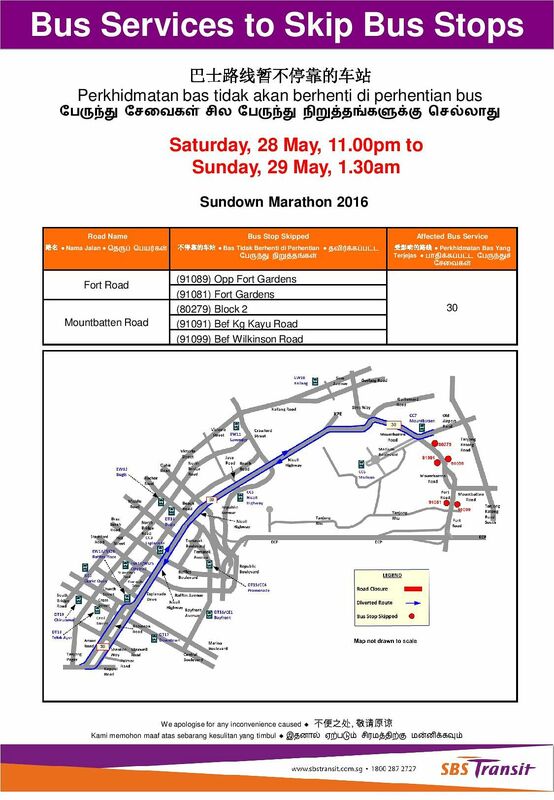 From 11pm on May 28 to 1.30am on May 29, Service 30 will skip five bus stops along Fort Road and Mountbatten Road due to road closures for the Sundown Marathon . On May 29, from 5am to 7pm, nine SBS Transit bus services - 97, 100, 130, 131, 133, 186, 195, 400 and 402 - will be affected by road closures in the Civic District and parts of the Central Business District area for the Car-Free Sunday SG. Services 400 and 402 will start operations at 11.15am for that day.